Buckley Angling Association is a well-established angling club founded in 1947. We cater for pleasure anglers, beginners (with a well run coaching programme through the summer), disabled, with full disabled access to the water and the on site facilities and the match angler, with angling events running throughout the year. Visit the match fixtures page. 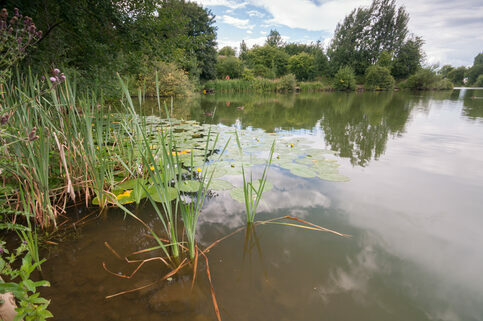 The Trap Pool is a well-stocked mixed fishery of approximately 5 acres, with Barbel, Bream, Carp, Chub, Perch, Roach, Rudd and Tench. Summer fishing can be excellent with good bags to be caught. In recent seasons we have stocked with Ide, and are now experiencing some quite amazing sport, with match weights generally above 20lb. Enjoy browsing the rest of our website and if you have any queries, contact us. NOTE: On certain pages on this website watch out for the 'Monitor this Page' boxes on the right, Enter your email address and you will be informed when there are any changes/updates on that particular page. It's safe so you won't recieve junk mail. Newsflash!!! Licenses are now on-sale at Lionels Tackle Shop.